They may call him “The Captain,” but Roger Penske is enjoying the king’s life as a NASCAR owner. 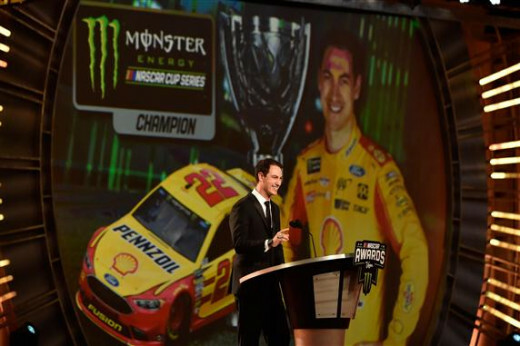 Joey Logano is a champion, his other two drivers are contenders, and his manufacturer- Ford- is currently top dog as a NASCAR nameplate. 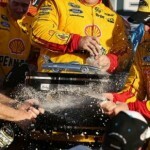 Times are good for Team Penske. Say what you will about Joey Logano, his dad, or his “rich kid” rep, he’s a champion, and no one can take that away from him. So much for that big three talk. When the final checkered flag flew at Homestead-Miami, it was the 22 car that came out on top. Maybe there really was something about all that sliced bread talk. After being allowed to walk away from Joe Gibbs Racing, the ride at Team Penske has been nothing but a winner. The way he races opponents may not always make him friends in the garage, but admit it fans- you wished your driver raced that hard. A teammate of a similar ilk is 2012 champion Brad Keselowski. Not adverse to contact, the phrase “they hate us, because they ain’t us” seems to apply here. While one never got the feeling he was a topflight contender for a title in 2018, Keselowski won a pair of trophies that would be the envy of any racer- the Southern 500 and and Brickyard 400. With all of his involvement in numerous series over the years, that win at Indy was especially satisfying. That’s to say nothing of the victory that followed at Las Vegas. To ignore Brad Keselowski as a contender is to do so at your own peril. With the exception of his win total, Ryan Blaney bettered his numbers in every way in 2018. What’s especially impressive is that the son of World of Outlaws star Dave Blaney went from 301 laps led in 2017 to 660 last year. Almost every race, he’s running towards the front. A breakout season could be right around the corner. There will be plenty of other contenders for a championship in 2019. There’s no reason to expect that Team Penske won’t still be there.